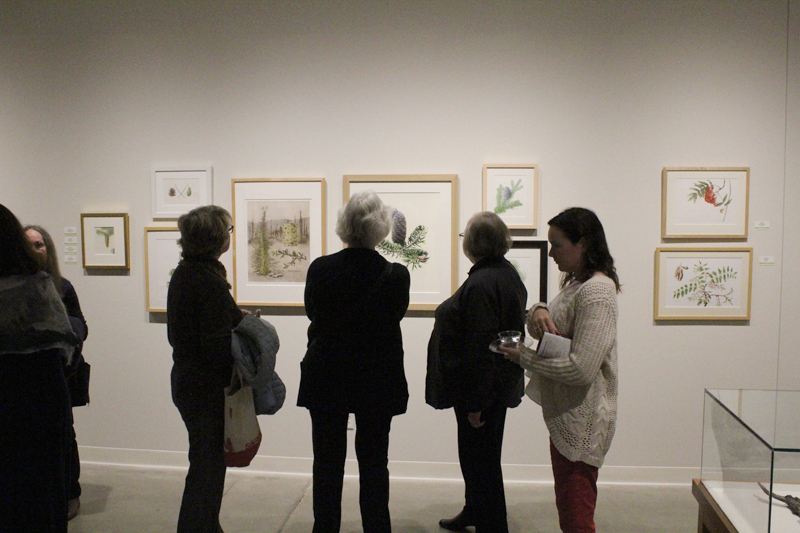 Out of the Woods - Celebrating Trees in Public Gardens, The New York Botanical Garden Third Triennial is an international juried traveling exhibition of artwork by members of the American Society of Botanical Artists. All works in this exhibition depict specimen trees among the living collections of botanical gardens and arboreta around the world. Forty-four artworks have been selected for inclusion in this exhibition of depictions of one of the planet’s most important and beautiful resources. A central goal with the exhibition is to highlight the role botanical gardens and arboreta play in educating the public about trees and their ecological and utilitarian roles, as well as the research/scholarship they do in these areas. However, artists also respond aesthetically to these inspiring subjects, and have depicted anything from seedpods to branches and bark to an entire forest floor.